Leading Manufacturer of printed paper bags and metallic paper bags from Thane. 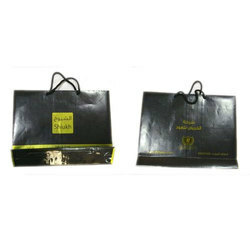 We manufacture printed paper bags with your design and logo. These bags come in various colors and matching handles. We have in-house designers to take care of the designing needs. We are offering Metallic Paper Bags to our clients.